Fashion Week parties, new collection launches, openings and other special nights - there is always something to celebrate! And what better way to do that with the clinking sound of bubbly glasses? 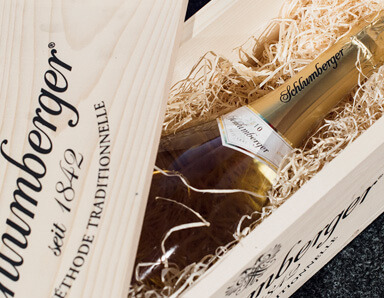 Let us introduce our new sponsor of delicious classic Sekt, Schlumberger, the brand, that finds modernity in tradition. The History of the Schlumberger family business begins with Robert Alwin Schlumberger, a 19th century pioneer who revolutionized the production of wine and sparkling wine in Austria. Schlumberger previously spent many years as a cellar master and production manager of Ruinart Père et Fils, France’s oldest Champagne house established in 1729. He then brought the Champagne method to Austria and founded the first and most traditional sparkling wine cellar in 1842. Talented and respected, he managed to get his “Sparkling Vöslauer” selected for the wine list of Queen Victoria of England at the 1862 World Fair in London. In Vienna, Schlumberger became the “Royal beverage” and a favorite in Vienna high society. Robert A. Schlumberger was appointed a supplier to the Royal and Imperial Court (k.u k. Hoflieferant), and in 1887, he ascended to hereditary nobility as “Edler von Goldeck”. Please tell us a bit more about the concept behind the brand and your products! The elegant cuvee is carefully blended in Bad Vöslau, from wines from distinctive Austrian winemakers, vintages and wines made from a selection of grape varieties and specific vineyard sites. The elaborate union of several wines makes it possible to blend the properties of the base wines to a desired optimum. This is archived by the cellar master and enologist, who apply their knowledge and highly trained palates to make fine adjustments to the diverse character of the wine, combined with their wealth of many years of experience. The aim is to produce consistently high quality and the characteristics, distinctive Schlumberger house taste through the fine balance of the character of the wines. After the fermentation of the yeast is completed, the bottle leave Bad Vöslau and are brought to the 300 year old Schlumberger cellar in Vienna, where the further steps for the high quality sparkling wines take place. After carefully riddling and disgorgement, the dosage – a well-kept secret of our cellar master – completes the sparkling delight. 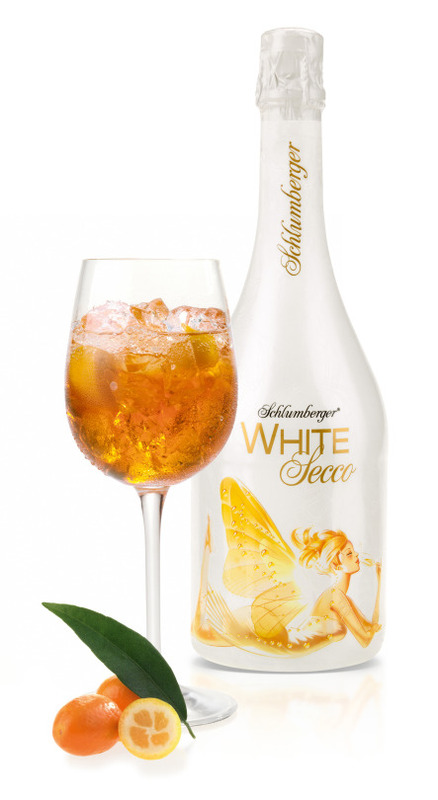 Schlumberger White Secco is part of Schlumberger’s Lifestyle range designed for the youthful and modern consumer. Strictly modern with the highest promise of brand quality is a sparkling delight of a new generation, méthode traditionelle and a dry taste united. 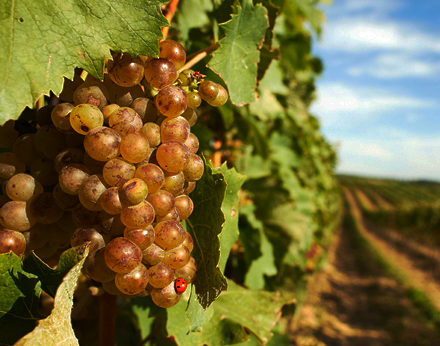 It’s made out of the domestic grape variety Welschriesling, Pinot Blanc and Chardonnay entirely grown in Lower Austria. Its delicate bouquet and high complexity comes with a refreshing character and invigorating fruitiness. 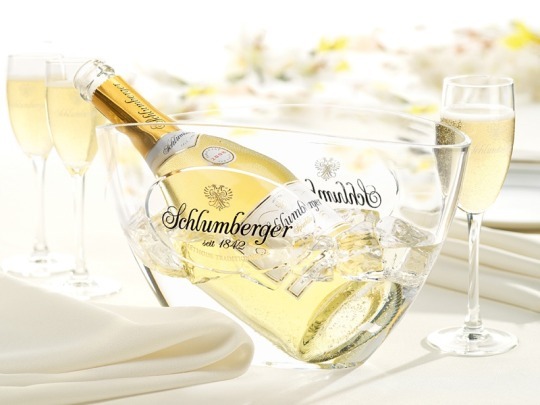 Schlumberger is the leading and most successful premium sparkling wine producer in Austria with a long history, among the top 10 worldwide and was the first that produced sparkling wine by méthode traditionnelle (champagne method) in Austria. The range involves sparkling wine for every taste and occasion. From sophisticated products to youthful state-of-the-art bubbles Schlumberger sparkling wines meet everyone’s needs. Every single bottle is distinguished with the cellar mark as a quality promise. What is the most important factor for you when introducing new products? Most important for Schlumberger is, keeping pace with changing trends without disregarding the long tradition and company’s history. Highest standard of quality and state-of-the-art production technology are essential. Which of your great products would you recommend for hot, breezy summer evenings, and which are best for luxurious fashion parties? For a hot and breezy summer evening Schlumberger On Ice range is a must. This range implies a white and rosé off-dry sparkling with a higher dosage (higher level of residual sugar) specially designed to enjoy on ice in big glasses. Due to the melting process of the ice cubes the sparkling wine dilutes slightly which enhances the fruity and fresh character. Schlumberger On Ice is also much appreciated within bar culture as a perfect base for fancy cocktails or a perfect match to fresh fruits like pineapple and honey melon (white) or fresh wild berries (rosé). 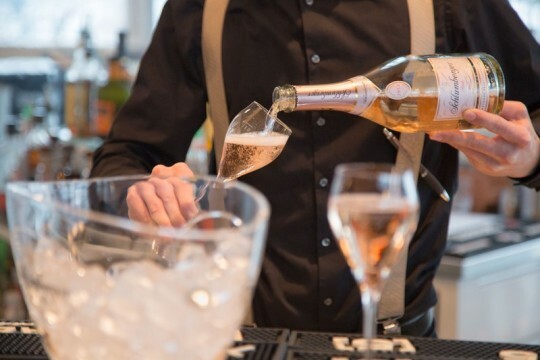 For a luxurious fashion party the perfect aperitif is Schlumberger DOM T.FX.T, the Austrian answer to champagne, which also includes a white and rosé sparkling brut. Born from a collaboration with three exceptional Austrian winemakers personalities: Manfred Tement, F.X. Pichler and Illa Szemes. This range embodies the super-premium category and a glamorous lifestyle. Both are made with champagne grape varieties such as Chardonnay and Pinot Noir. The vinification of the base wines took place in oak barrels on fine yeast and the aging duration on the yeast has been for at least 36 month. This long aging process gives this sparkling wine an elegant and creamy palate and an extraordinary fine mousseaux. Pure luxury! What exciting projects have you planned for 2017? We have launched Schlumberger On Ice range at beginning of this year and a special blend for the 175th anniversary of Schlumberger Wein- und Sektkellerei. But there are more exciting projects to come this year announced later.